For the first 5 years of his career, Jamie Budge surfed the same breaks as Dewey Weber; jockeying for waves and bumping rails with him and his team members at local surf spots from Malibu to South Bay. 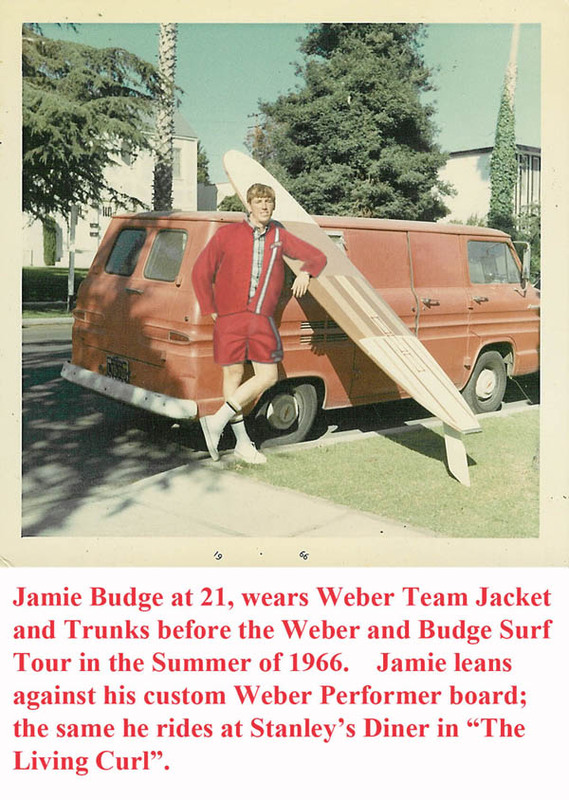 But it wasn’t until early 1966 that Dewey asked Jamie to join him for the first (and only) ever, “Weber and Budge Surfing Tour” of the east coast. 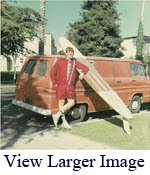 By then, Jamie was a contest winning surfer who had filmed the much acclaimed surf movie, “The Living Curl”. Before the team of 8 surfers left California for the east coast, Laguna Swimwear presented each of the members with a dozen outfits of casual trunks, shorts, T shirts, jackets and, of course, several sets of Weber Team Trunks & Jackets. Not all of these fit perfectly the designated team members. One set of Weber Team Trunks & Jacket was too small for Jamie Budge. So they traveled the entire tour from Corpus Christi, Texas along the gulf coast to Miami Beach, Florida and up the east coast to York Beach, Maine: stashed in the back of Jamie’s van. And after the tour, they spent the next 42 years in a drawer in Jamie’s closet, next to “The Living Curl”. Click this link to check out the auction. About this time, it came to Jamie’s attention that maybe they could be put to better use and prominence in the possession of an appreciative collector. So Jamie parted with them. Soon after, Jamie had the same awaking about the other items in his closet: including “The Living Curl”. 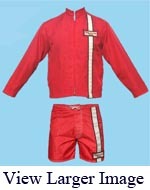 Now Jamie’s Weber Team Jacket & Trunks and “The Living Curl” (on DVD) are being made available to the public. 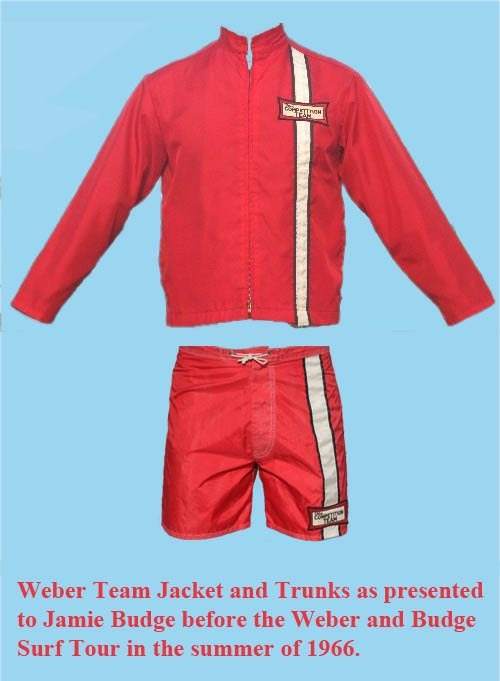 Subscribe to comments with RSS or TrackBack to 'Weber Team Jacket and Trunks'.